Neighborhood Birth Center aims to be Boston's first independent and freestanding birthing center - a warm, inviting space, led by midwives, providing holistic pregnancy care, labor and birth support and postpartum care. Do you want to seriously work on changing the man in the mirror? 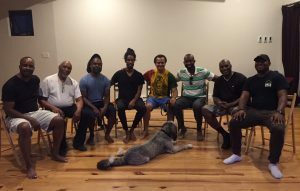 Join with a group of brothers who are committed to healing and personal development.